As an independent artist, I’m learning how to give the release and marketing of my music as much care, attention and resources as I’ve paid to the 3-year journey to “ISaidYesToEverything.” With my Wrenne partner, Hugo Vereker, we’re solving a modern music-biz puzzle: namely, on an indie budget, how to attract core fans and business allies internationally, plus promote my debut album in bold ways in an ever-shifting landscape…So far, we’ve made the record I always hoped for, created rad materials and instigated original marketing plans. Please explore the links and pics on this page to get the picture.... I. Am. Excited! To build on this momentum we need more funds. (That was me cutting to the chase). So we’re inviting you to help a new artist by joining “The 100 Club:” simply, an exclusive membership we’ve created for friends and fans who each donate £100 or more to our Spring-Summer release campaign. These are contributions to key costs of a Social Media campaign; Press, Radio & TV promotion; a Video budget; as well as underwriting some of the initial Touring. This support takes us to the level where the right partners will emerge for the bigger picture, international launch. Thanks to the first members, we’re delighted to show you the “Love and Affection” video, soon to premiere on blogs, social media and TV. This 1st single is truly the beginning of the Wrenne campaign. I can’t wait! I have waited! And once in “The 100 Club," you’ll have a front row seat to the Wrenne story as it unfolds, with exclusive mementos & unique surprises arriving every couple of months in your mailbox, virtual or real. We promise not to inundate with too much news, but you can be as informed as you wish on each step of the journey. Still from 'Puzzle Place' video. This first shoot day was how Wrenne prepared for her first WrenneRunRelease marathon (3:51mins. Ninja!) in Rome, April 10th, 2016! 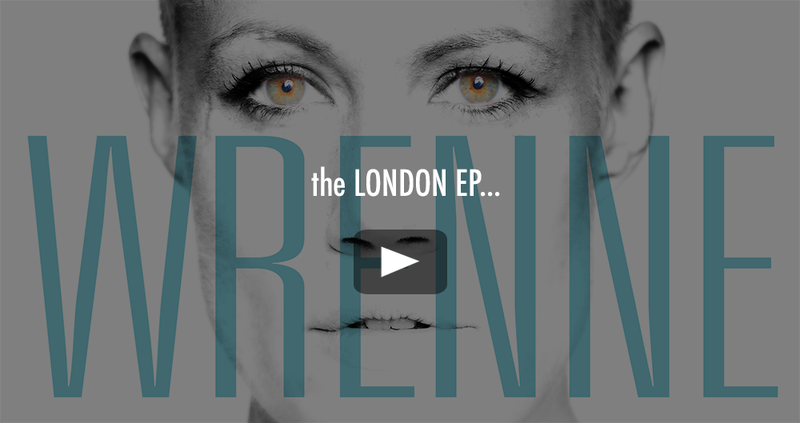 Wrenne.Run.Release, a unique way to play shows, build the fanbase, inspire, stay ultra-fit and get my music out to as many people as possible over 6 months of touring. Once the tour is well underway, the 2nd EP, “Tokyo,” will drop with bells, whistles and (with luck) a whole lotta fanfare, plus a FANTASTIC video. The EP features official-coolest-dude-on-the-planet Idris Elba (yep, that dude) on 2nd single “Come Alive.” It's an international affair recorded by Brit Marius de Vries (Rufus W., Madonna, Moulin Rouge) in L.A., alongside dope mixes by DJ Taku (Tokyo), Londoners Ben de Vries and co-writer Tim Gordine, plus a drum'n'bass mix to come from somewhere subterranean. Finishing the video for further single, "Puzzle Place," pictured above, with some gorgeous digital art from our favourite artist in Moscow. We couldn’t be doing this without some of you already on board and once we get the first 100 members, we’ll send out the first unique gifts that I’ve prepared. So. Please consider helping. If not with a contribution to "The 100 Club," then perhaps a venue recommendation, creative collaboration, brand introduction… Thanks so much for your time and, if you like what we’re doing, for saying “Yes" to whatever you can.